TransCanada is a leading energy infrastructure company in North America. As their GE turbines were nearing end of life at their Ravenswood and Alberta locations, they required cleaner, more viable solutions to meet the growing power demands of their constituency, with the Ravenswood location serving over 20% of New York City. 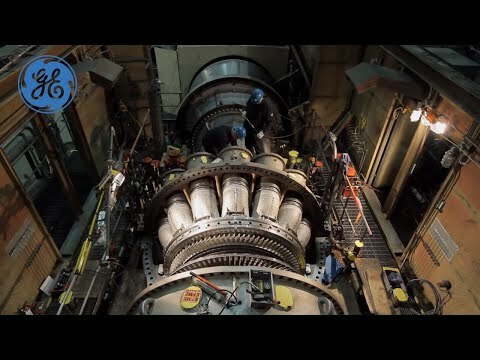 In 2012 TransCanada, purchased GE’s Advanced Gas Path solution for the Ravenswood power plant in New York City and the Mackay River cogeneration facility in Alberta replacing key turbine parts with new components made from advanced materials developed for GE jet engines —essentially extending the life of their existing equipment. As part of the upgrade, OpFlex AutoTune DX and OpFlex Cold Day Performance were installed to obtain even more performance from the hardware, and to ensure robust turbine operation and emissions compliance at the increased output levels even as weather and fuel supplies vary. TransCanada projected efficiencies from the engagement with GE would total approximately $900K in annual fuel cost savings or 223,440 decatherms of fuel for the company, as well as new revenue opportunities for Ravenswood in bidding into the area’s power market. The more efficiently produced power displaced less efficient megawatts on the market with cleaner power, thus reducing overall emissions for the same amount of power generated.